Animals • Noises often cause dogs to run away from home. Chris Detrick | The Salt Lake Tribune&#xA;'Sokka', a Beagle Mix, left, and 'Darius' a Dachshund wait to be adopted at the Salt Lake County Animal Services Wednesday, June 30, 2010. Dogs and cats are available to adopt for $17.76 until July 17th. 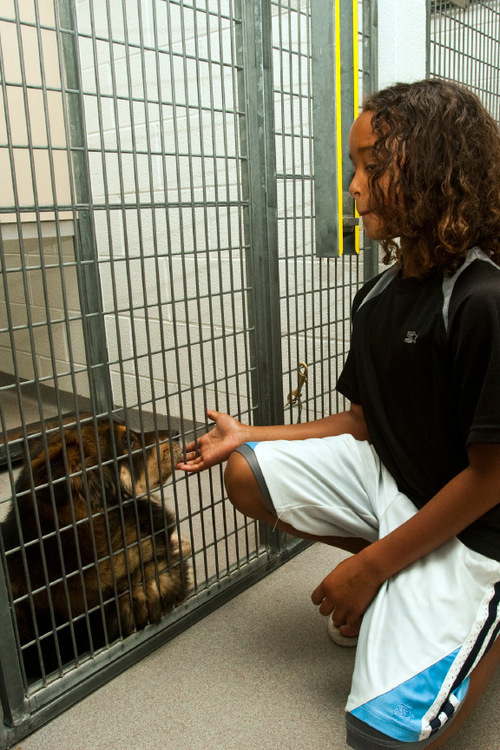 Chris Detrick | The Salt Lake Tribune&#xA;Eli Reynolds, 9, looks at a dog to be adpoted at the Salt Lake County Animal Services Wednesday, June 30, 2010. Dogs and cats are available to adopt for $17.76 until July 17th. Chris Detrick | The Salt Lake Tribune&#xA;Oakley, an Alaskan Husky/Chow, waits to be adopted at the Salt Lake County Animal Services Wednesday, June 30, 2010. Dogs and cats are available to adopt for $17.76 until July 17th. Chris Detrick | The Salt Lake Tribune&#xA;Oakley, an Alaskan Husky/Chow, waits to be adopted at the Salt Lake County Animal Services Wednesday, June 30, 2010. Dogs and cats are available to adopt for $17.76 until July 17th. While many Utahns will enjoy fireworks for Independence Day, animal shelters recommend that pets skip the festivities. Carl Arky, spokesman for the Humane Society of Utah, said animal shelters inevitably see an increase in stray animals this time of year. He said many people leave pets, primarily dogs, outdoors while they use sparklers and firecrackers, or bring their pets to large fireworks displays. The loud noises, flashing lights and sulfur smell can cause pets to panic and run away. "For us, we love the holidays," Arky said. "But for pets, it can be a nightmare." Katelyn Cochrane, of West Valley City, lost her airedale terrier, Cambria, Saturday night at WestFest during the evening fireworks. She contacted every shelter in Utah, put up flyers around the city and went door-to-door looking for the dog. Her husband eventually found someone trying to sell her dog online for $100. Cochrane does not want other pet owners going through the same difficulty. "Make sure that they are micro-chipped, make sure they are always wearing their tags, and make sure that they are always inside during fireworks," she said. 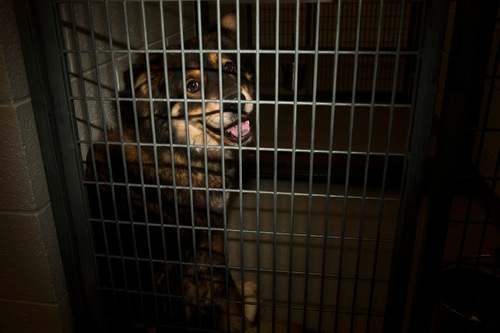 While Cochrane's dog fortunately didn't end up at a shelter, many dogs do. 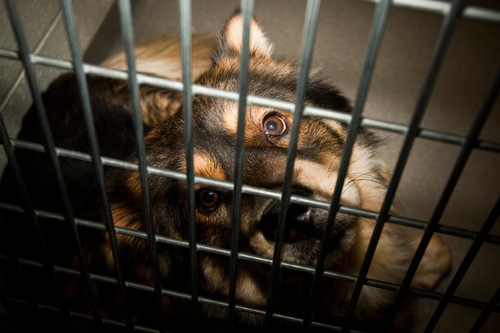 Salt Lake County Animal Services currently houses 160 dogs in 82 kennels, which director Shawni Larrabee said could lead to overcrowding if too many dogs are come in during the holiday. 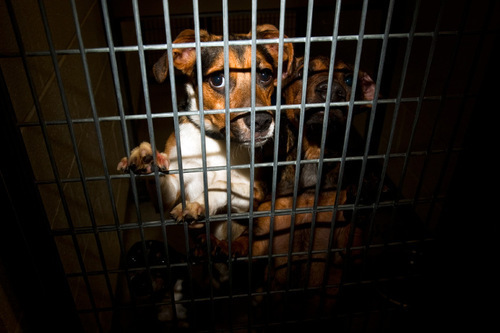 Overcrowding also becomes a problem around Pioneer Day, when up to 25 dogs per day have been brought to the shelter. Salt Lake County Animal Services has worked to boost the number of adoptions to alleviate overcrowding. The shelter teamed with Best Friends Animal for a photo-shoot of pit bulls wearing Independence Day memorabilia which will be used to help attract permanent families for the animals. Leave pets at home, and put them inside well before dark. Close doors and windows. Turn on music to muffle outdoor sounds. Close curtains and blinds to block flashing lights. Be sure pets are wearing ID tags and have a microchip. Distract pets with chew toys or games. Introduce loud sounds at a lower volume to help desensitize before the holidays. Speak to a vet about natural, homeopathic, non-sedating remedies to help keep pets calm. Humane Society of Utah • 4242 S. 300 West, Murray; 801-261-2919; http://www.utahhumane.org. Salt Lake County Animal Shelter • 511 W. 3900 South, Millcreek; 801-559-1100; http://www.animalservices.slco.org.